Mumbai is educational hub with presenting opportunities for working professionals. Students all over the India come Mumbai to pursue higher education. 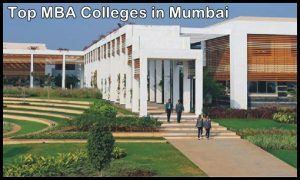 There are many top MBA colleges are located in Mumbai. Here is the list of top MBA colleges in Mumbai. Ajeenkya DY Patil University was founded by Dr. DY Patel. He is Padmashree recipient and founder of DY Patel Group. The institute is offering different courses in various criteria. It includes school of design, engineering, management, film and media, law, information technology. Ajeenkya DY Patil University, Pune has been established under Maharashtra Govt. Act of 2015 of Government of Maharashtra. It is located in Lohegaon, Pune, Maharashtra, India. Indian Institute of Technology Bombay was established in the year 1958. It was set up with foreign assistance. The institute is offering undergraduate and postgraduate program. Here students come from all over India. The institute has outstanding faculty which performs research on international level. Its faculty members won awards like Shanti Swaroop Bhatnagar and Padma awards. Within few years, the institute emerged as leader of research and engineering education. IIT Bombay is also associated with other institute for research programs. It is also offering various short term courses. It has huge campus with all amenities. The ITM Business is among the top 10 MBA colleges in Mumbai. It is located into Navi Mumbai. Asia Graduate School of Business is component school of ITM Group. The leading MBA institute of Mumbai is also winner of E Week Premier Awards. K.J Somiya Institute of Management Studies & Research ( SIMSR) is providing management education and other related areas. The institute was started in the year 1981.It is among the top 10 private B schools in India. It is offering various courses which are approved by All India Council of Technical Education, Ministry of HRD, Govt of India and University of Mumbai. The institute is offering business management executive program. doctoral programme and masters in Computer Applications. The top B school of Mumbai is also offering various other certificate courses for different programs. Its different certificate courses are for defense personnel, companies, NGOs, government bodies etc. MISB Bocconi located in Mumbai. MISB Bocconi, located in Mumbai, is the world’s only offshore presence of Università Bocconi, one of Europe’s premier universities. Founded in 2012, MISB Bocconi offers Post-Graduate program in Business and Executive Education, designed and taught by the faculty of SDA Bocconi, Milan, Italy. Narsee Monjee Institute of Management Studies was established in the year 1981. The private university is located in Mumbai, Maharashtra, India. Besides Mumbai, it has branches in other Indian states including Bengaluru, Hyderabad and Shirpur. It was started by Shri Vile Parle Kelavani Mandal. It is offering different courses in pharmacy, economics, liberal arts, engineering, technology and management. Welingkar Institute of Management was founded in the year 1977. It is one of the top MBA colleges in Mumbai. It is located in two major Indian cities Mumbai and Bangalore. The leading B school was started from Mumbai. It is offering different programs E-business, Healthcare, Rural Management, Retail, Business Design and Innovation. It is also offering specific program for family managed business. In last few years, university established relationship with some international universities like Lancaster University and University of Hull (UK), Copenhagen Business School (Denmark), Unitec Institute (New Zealand ), Jonkoping International Business School (Sweden) etc. 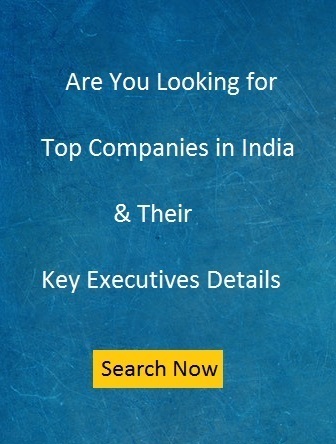 Regenesys Business is one of the Top B schools in Mumbai. It is based in Johannesburg, South Africa. It is also a leading global business school. In India, it is located in Vasi Navi Mumbai. Shanti Business School was established in the year 2010 as a corporate citizenship initiative. The institute provides PGDM, PGDM Communication and Certification Programs. The SP Jain Institute of Management and Research was founded in the year 1981. It is one of the premium mba institute of Mumbai. It is located in Andheri Mumbai spreading over the 45 acre land.